The U.S service member killed in Afghanistan on Saturday has been identified as Sgt. Leandro Jasso, 25, according to the Department of Defense. Jasso, from Leavenworth, Washington, was an Army Ranger assigned to 2nd Battalion, 75th Ranger Regiment on his third deployment to Afghanistan supporting Operation Freedom’s Sentinel. He was killed “as a result of wounds sustained while engaging enemy forces in Khash Rod District, Nimruz Province, Afghanistan,” the Defense Department statement reads, a region the U.S. is not known to conduct many military operations, according to The Washington Post. “The loss of Sgt. Jasso is felt by his family and loved ones, by all who served with him and by all on this mission to protect our country and our allies,” Gen. Austin “Scott” Miller, the top U.S. officer in Afghanistan said. “Sgt. Jasso was a humble professional who placed the mission first, lived the Ranger Creed and will be deeply missed,” Lt. Col. Rob McChrystal, the commander of Jasso’s battalion, said in a statement, according to the Army Times. 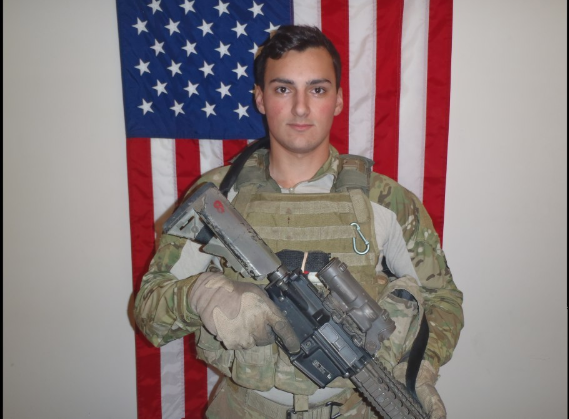 Jasso’s death marks the tenth U.S. military fatality in 2018, and the second this month. Army Maj. Brent Taylor of the Utah Army National Guard was also killed in combat in November in an apparent insider attack in Afghanistan. Initial reports indicated that Taylor was shot and killed by a member of the Afghan security forces, according to Operation Resolute Support, the NATO training mission in Afghanistan.